The bigger the concert, the more problems we have to deal with. Harsh conditions had to be overcome for Rock 30’s first concert and Chang remembered well the nerve-racking situations she faced at the Bird’s Nest. 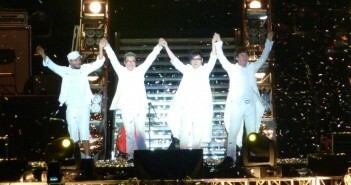 “We were building a four-sided stage at the Bird’s Nest for the first time. No one had done a concert there previously and there were no references to study. For the sound stage component of the outer stage, we had to engage Japanese technicians to carry out accurate measurement evaluation and stage set-up work. There was a big hole on the ground of the stadium and we had to fill it since our stage was huge. There were many problems we had to solve.” Problems with the sound stage for the inner stage also hindered preparations. Hundreds of wireless channels were causing interference and to prevent this from affecting the musicians, Chang had to acquire microphones with varying frequencies at the last minute. ◎How do you calculate a concert’s cost? Chang revealed that a single concert tends to incur losses given that the production costs for software and hardware are high. On the other hand, doing a tour reduces average costs and makes it possible to generate profits. Citing Michael Wong‘s（光良） Crazy Memories tour（回憶裡的瘋狂巡演） as an example, she pointed out that the concert-goer population for Beijing and Shanghai is roughly 5,000 each and about 3,000 for Taipei. For these cities, production scale and design are similar, and slight changes are only made based on the venue in question. For Michael Wong’s concert in Taipei, venue rental alone constituted a huge expense component (after deducting existing software, hardware and manpower expenses). Stage set-up charges are time-based, and venue, manpower and utilities charges are calculated differently at each venue. In this case, the concert was held at the TPEC Gymnasium, stage set-up was carried out from Tuesday to Thursday while the rehearsal, concert and stage dismantling will happen on Friday, Saturday and Sunday respectively. The rent for each period is calculated differently and an additional 10 percent of ticket sales will be charged. Based on this calculation method, we would need to pay TPEC Gymnasium NT$1.8 million just for this concert. If it was held at the Taipei Arena, 10 percent becomes 15 percent and the rent is higher. After deducting expenses for items like rent, software and hardware, a concert with 3,000 concert-goers is not a profit-making venture. Instead, it serves as a reward to Wong’s fans for their support. As to the order of cities to visit during a tour, this is sometimes determined by an agency’s strategy. 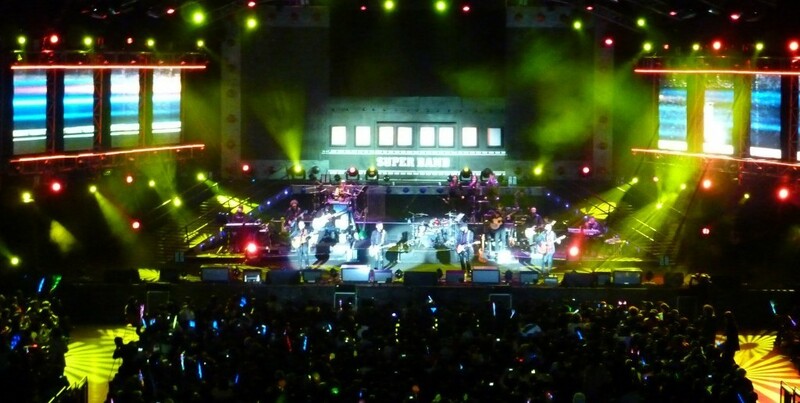 “China’s concert market is currently dominated by Taiwanese musicians, but this trend is changing slowly. Chinese talent shows have produced many musicians, while the pool of emerging Taiwanese musicians who can replace established ones is shrinking“, said Chang. Only a handful of upcoming Taiwanese musicians are able to do well at a 3,000 capacity venue. Chang pointed out that new musicians need more exposure, more opportunities to perform, and more stage time to succeed. All these require money and everything is linked. “Taiwanese musicians are doing increasingly better in the concert industry, but new musicians will have to buck up.” At the end of the day, this is a talent gap. Lastly, Chang spoke about the live-streaming of concerts. When Chinese live music platforms like Tencent（騰訊） and LeTV（樂視） require content, they would first invest in a musician’s concert. Pricing also differs depending on the musician. 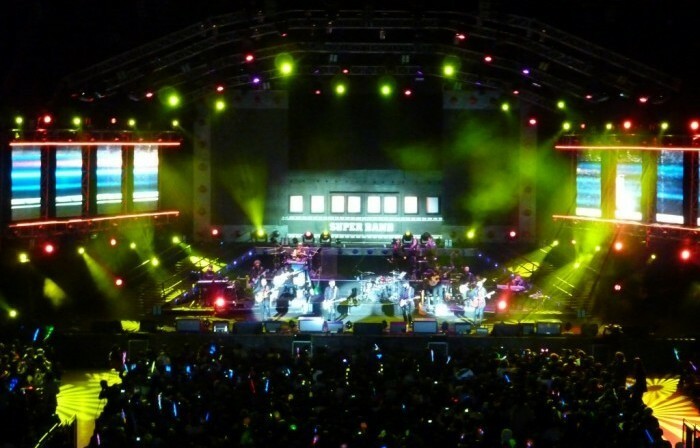 For instance, Tencent paid RMB1 million (about NT$5 million) for A-Mei‘s（張惠妹） recent concert which featured new songs. But to the best of her knowledge, the only live-streaming deals struck so far, apart from those for Wang Feng‘s（汪鋒）concerts, are for press conferences for new song releases (e.g. A-Mei) or small-scale performances in Taiwan’s case. In terms of content, such events differ from large-scale concerts. ◎Why are people reluctant to spend on CDs, yet willing to splurge on concerts? “The most attractive thing about a live performance is its unpredictable nature. Every concert is a unique experience,” said Chang with a smile, her eyes fixated on the stage where Michael Wong was rehearsing. The floor trembled and the LED lights sparkled, as if in agreement with her words.